It's been a couple months since I have hosted a Speed Scrap... and I'm back again ... I hope you'll join me! 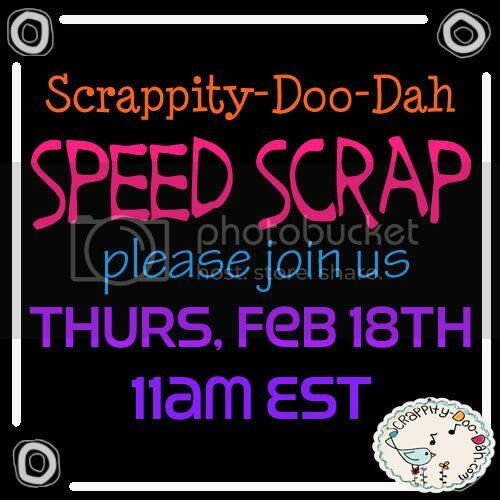 Please join me in our Scrappin' Chatter forum on Thursday morning for a Speed Scrap!